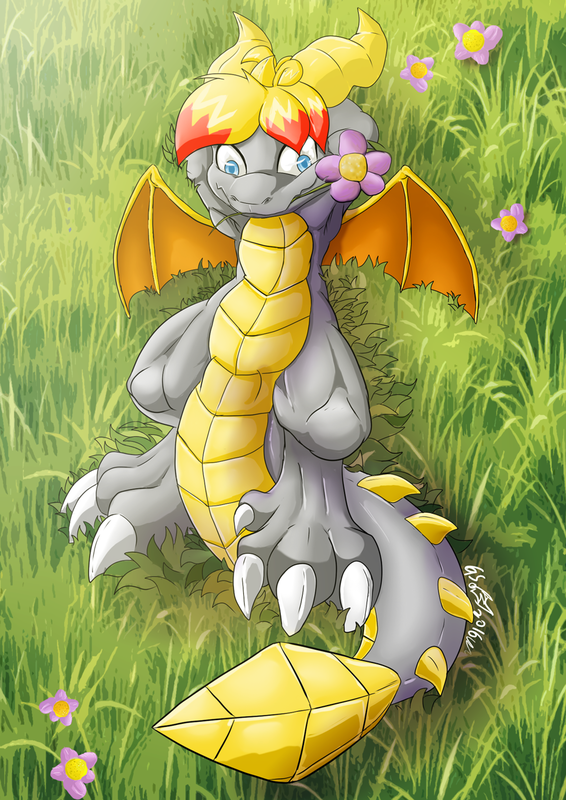 Gs The Dragon doodle 04 - Happy Spring day! So yeah this one was done yesterday! yay finally new Stuff! I doodled this one based on another artist coloring style, thought that made me realize that I really… really need to learn a lot in terms of actual shading. Also yay finally Spring here! !`^////^ totally loving the season already!